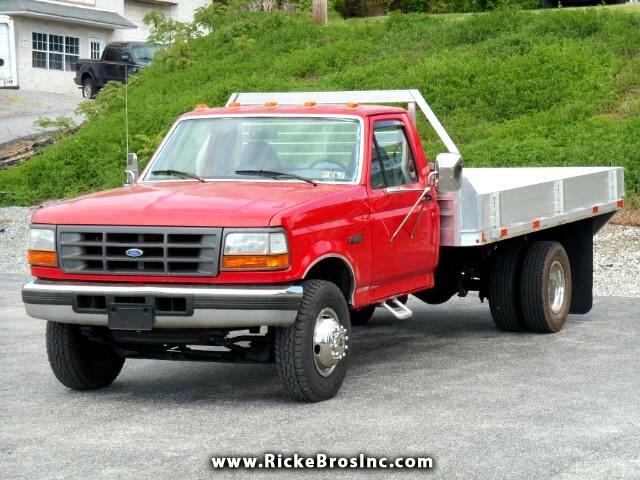 Used 1996 Ford F-450 SD Regular Cab DRW 2WD for Sale in York PA 17406 Ricke Bros Inc.
At Ricke Bros Auto Sales www.RickeBroasInc.com we have a nice, clean 1996 Ford Super Duty with a aluminum flatbed stake body for sale. All six tires are like new and the air blows ice cold. Message: Thought you might be interested in this 1996 Ford F-450 SD.